Let us custom make you a beautiful pearl eternity band ring in your choice of glass pearl and wire colors. You will love this ring as in encircles your finger in stunning style. Be the envy of your lady friends as you wear this ring with pride. Each striking glass pearl is enveloped in slinky wire creating an "evil eye" look to the pearls. The band is not bulking or uncomfortable to wear. Each one of these beautiful rings is expertly created using high-quality materials and then sealed with an industrial strength acrylic spray enamel. 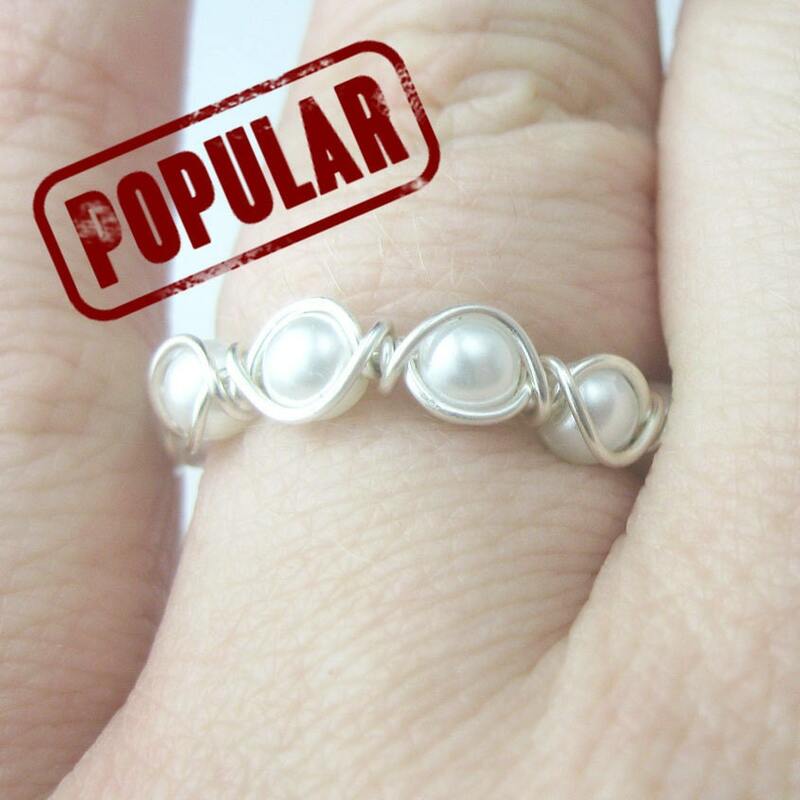 PLEASE NOTE that smaller sizes may require a reduction in the number of pearls on the ring. Size 7 will have 7 pearls, a size 6 will likely have either 5 or 6 pearls. Larger sizes will have more pearls. MAKE SURE TO INDICATE SIZE, PEARL CHOICE AND WIRE COLORS WHEN ORDERING. Put size in the "Notes to Seller" box. So very sorry I'm just now posting because I'm so happy with my ring and this shop owner!!! Beautiful ring and handmade at that!!! And when I needed ring ASAP shop owner got it to me even sooner than I expected !!! Will defiantly visit this shop again!! !